Numerology Compatibility: Life Path 4 - Who Is Your Love Match? Numerology Compatibility: Life Path 4 - Who Is Your Perfect Match? Are you a life path 4? If so, it's time to discover who you are compatible with in love with the help of numerology compatibility. People of life path 4 are serious, grounded and hardworking which means they aren't compatible with everyone. Here's a heads-up for you life path 4; you are most compatible with life path 6 and 7, find out why here! Life path number 4 is about assembling pieces in order to create a work of art, 4 is essentially a constructive number. If your life path is a 4, you are determined, hands-on and methodical. People of life path 4 have their feet firmly on the ground and know what is really important in life. People with the life path 4 reject superficiality and prefer to invest in solid work rather than anything too frivolous. The life path 4 people like to be organized and having a watertight plan in place before focusing their energy on just any projects. Leading an orderly, systematic, calm and logical life is all a life path 4 dreams of. People belonging to life path 4 are determined, strong, loyal and very dependable..
People of life path 4 can be a little too rigid at times and have trouble improvising when needed. In need of advice? Turn to a numerologist. Life path 4, discover your love rating love and who you are most compatible with in love. Who is the best love match for you? If you want to find out more about compatibility of other life paths, click on the numbers below. A delicate relationship that requires extensive understanding from both sides. Life path 1 will feel restrained and held back by the slow speed and rigor of life path 4. Some tension will come from your different views on life. Between 2’s discretion and 4’s suspicion, there are a few qualms and a lot of restraint in this relationship. On the other hand, the rationality of 4 allows for a material or professional agreement to be put in place. We are still wondering how you could have even met! Life path 3's poise collides with 4’s stubbornness. However, on the bright side, if each partner backs off a little a solid professional relationships could be possible. You form a “rock-solid” team, and you are capable of moving mountains when necessary. This is a complex team and some disagreements are certainly on the cards. If 4 accepts to do some self-analysis, 5 will get rid of their discipline and puritan sexuality. It’s obvious you get along well because this is a relationship built on a sense of duty, a mutual quest for stability, and security. Your relationship is deep and strong. When experience and theory come together, an intellectual and professional understanding is guaranteed! Although there isn’t a lot of proof, this relationship is direct, loyal, and solid. A common, efficient truth will allow you to reach powerful heights, but you are less adventurous when talking about feelings arises, and that can slow down hopes for your couple. An uneasy, fragile relationship… too many differences will prevent you from creating anything long term. 4 is too stubborn for the idealistic 9. The year isn't over so be sure to check out your 2019 Numerology life path predictions! What surprises are still in store for you? 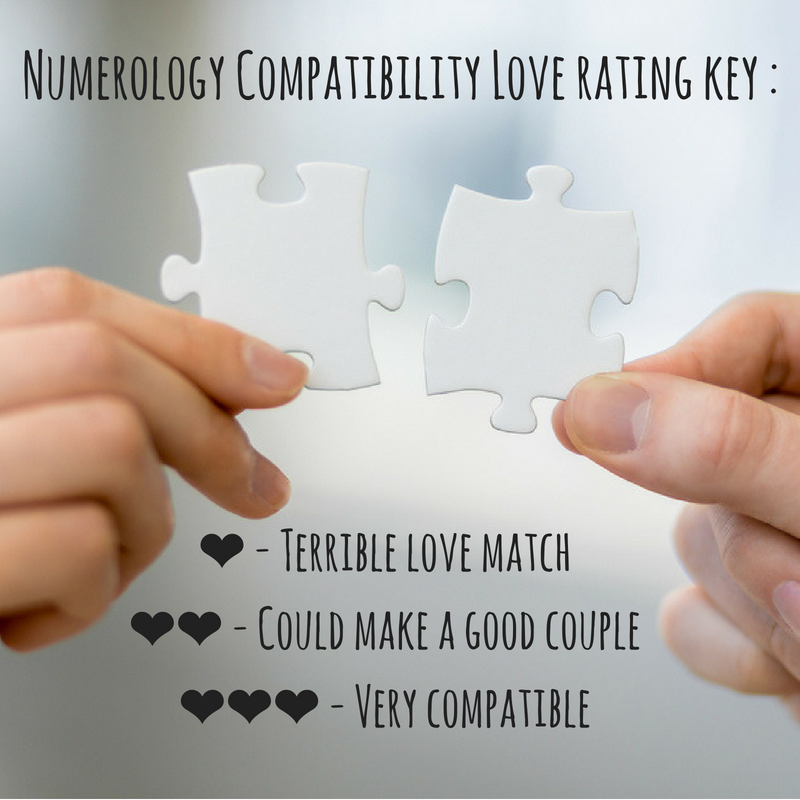 Click on your numerology life path number and discover who your best love matches are!